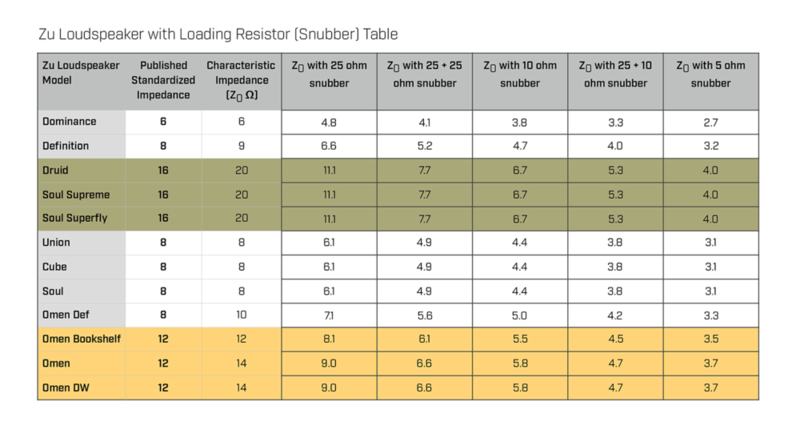 2x matched 10 ohm loudspeaker loading resistors (snubbers). 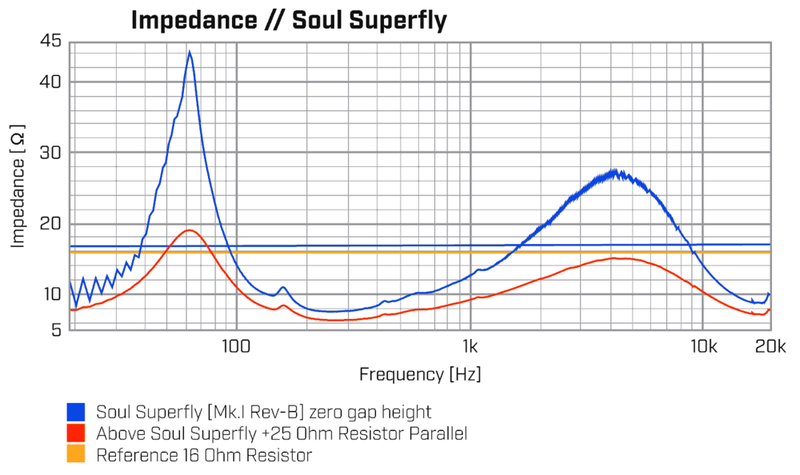 Reduce the impedance of Zu Druid, Soul Supreme, Soul Superfly, Omen and Omen DW loudspeakers. See matrix and curves.